The sharper Competition replaces the old BMW M2 - and it's a gem. BMW is re-ordering its whole M car line-up and dropping the Competition Pack option/name, instead offering 'Competition' models as their own, distinct variants. The first out of the blocks is the M2 Competition, replacing the previous M2 in BMW's line-up entirely. This is a good thing, though, because the M2 Competition is an utterly mesmerising, beguiling and wondrous car. If you're looking at the BMW M2 Competition and thinking it might be a bit more aggressive looking than it was before, you'd be right. The mean streak is provided with the use of gloss-black detailing - for the large kidney grilles, the window surrounds and the badging, the latter of which will be a 'Competition'-specific theme going forwards - and a revised front airdam, which contributes to increased cooling. The bulging arches of the M2 and its stocky stance have always made it one of the most pugnaciously appealing sports coupes going, and the Competition treatment does its shape no disservice. New colours for the M2 Competition include Sunset Orange metallic, which is making its way into the wider 2 Series palette, and Hockenheim Silver metallic, which is a hue that will be unique to this car. Inside, the black-panel instrument cluster freshens up the driver's display, while 'M2 Competition' sill plates, a red start/stop button (lifted from the current BMW M5) for the engine, M tricolour-striped seatbelts, additional 'M1' and 'M2' driving settings buttons on the M leather steering wheel and carbon-fibre trim finishers mark out the special new model, improving the ambience of a cabin that was always ergonomically spot-on, if slightly lacking on the showmanship front. Need more visual oomph from your M2 Competition? Then M Sport bucket seats with an illuminated 'M2' logo in the backrest will be an option. But the M2 Competition is far more than a mere cosmetic makeover that includes a black boot badge and a red start button. It has a new engine, which might not be immediately apparent from glancing at the technical specifications. The old car's 3.0-litre, single-turbocharged, inline-six-cylinder unit was actually developed from the M240i's, and it used pistons and other technical know-how gleaned from the M4's biturbo motor, to boost output from 326- to 370hp. However, the financial cost of making that single turbo 3.0 meet the latest emissions regulations wasn't deemed to be worthwhile, so now the M2 Competition has the same twin-turbo straight-six as the M3/M4. That means a good slug of extra power (40hp) for a headline figure of 410hp, while the Competition's engine develops a peak of 550Nm all the time; the old M2 (which has been totally superseded by the Competition, meaning there are just a handful of unsold 370hp units still available) developed 500Nm on a time-limited overboost, delivering 465Nm otherwise - fully 85Nm down on the latest car. The additional output hasn't done anything drastic to the on-paper performance, as the 0-100km/h times of both the M DCT (now 4.2 seconds) and the six-speed manual model (now 4.4 seconds) have only dropped by a tenth, but BMW cites other benefits, like the twin-mono-scroll turbos responding quicker to throttle inputs and the whole car gaining a more thorough cooling system (in which the revised front airdam plays a key part in flowing more air into the engine bay). There's even more to the M2 Competition, because it has had various parts of its hardware tweaked to account for the lightweight 19-inch forged Y-spoke alloy wheels with grippier Michelin Pilot Super Sport tyres and also the carbon-fibre front strut brace under the bonnet. So, the DSC stability control system has been retuned, the electrically-assisted power steering is sharper than before, it has big brakes as standard (380mm front/370mm rear with four- and two-piston callipers respectively) and the option of M Sport brakes (400mm front, 389mm rear, with six- and four-pot callipers painted in grey, rather than blue), and there are selectable driving parameters for the engine, steering and - on this M DCT model - the gearbox too. It takes just a few twirls of the slightly-too-fat M steering wheel to realise that the M2 Competition has a front axle that's sent down from the heavens. It's every bit as good and sharp and eager as the items found on its much-more-expensive M3 CS and M4 CS stablemates, and that will also alarm BMW because the hierarchy going forward is supposed to run M, Competition, CS and GTS (or CSL, if the company is feeling mischievous...). And, to all intents and purposes, that's what this car feels like: an M2 CS, rather than an M2 Competition. What we mean to say here is that the M2 Competition is utterly glorious to drive. It functions as well doing the mundane day-to-day stuff as it does in its supposed natural element, which is on track, because the fixed-rate suspension is right out of the top drawer for the way it balances acceptable ride comfort with steely body control, while the engine and that M DCT gearbox are tractable enough to make the M2 reasonably docile in town driving. Yet, when you take it by the scruff of the neck, this car comes alive. It has a louder and more insistent engine note now, courtesy of the M3/M4 engine, and with its bespoke exhaust the soundtrack is one of those legendary straight-six BMW M symphonies. The car also revs harder and pulls more insistently for its redline, so while something that can run 0-100km/h in 4.2 seconds is obviously fast, it nevertheless feels even more potent than the printed stats suggest. But the genius here is that BMW has improved what was already a pretty stellar chassis. The M2 Competition is so playful, adjustable and downright rewarding that it's hard not to involuntarily laugh out loud while driving it. The keen front end of the car translates into wonderful steering, while the fluid movements of the chassis under throttle, braking and lateral grip are telegraphed oh-so-clearly to the driver in a stream of the most concise feedback you could ask for. And that means the M2 Competition is gobsmacking. It'll thrill you in a wide variety of scenarios, it feels like it belongs on a race circuit and yet its 2 Series origins mean it can be used as a sedate daily driver if required. How much more exceptional a car could you possibly want, over and above this BMW? The bad news now: the M2 Competition, at €87,315, is some €10k more than the car it replaces. Obviously, for the increased price you get the much more powerful engine, revised chassis hardware and improved interior. Plus, one of the best drivers' cars you could possibly imagine - so maybe the M2 Competition is something of a bargain...? It might seem odd that BMW is offering the M2 Competition as a total replacement for the old 370hp M2, instead of selling the Competition alongside it - in order to further the 410hp model's credentials as something a little bit special. But don't worry about that: in the pantheon of all M cars ever made, the blistering, brilliant, bonkers M2 Competition might be vying for the title of 'Best of the Best'. The changes wrought here have turned one of the very greatest performance cars of the modern day into one of the very greatest performance cars of all time. Much, much want. 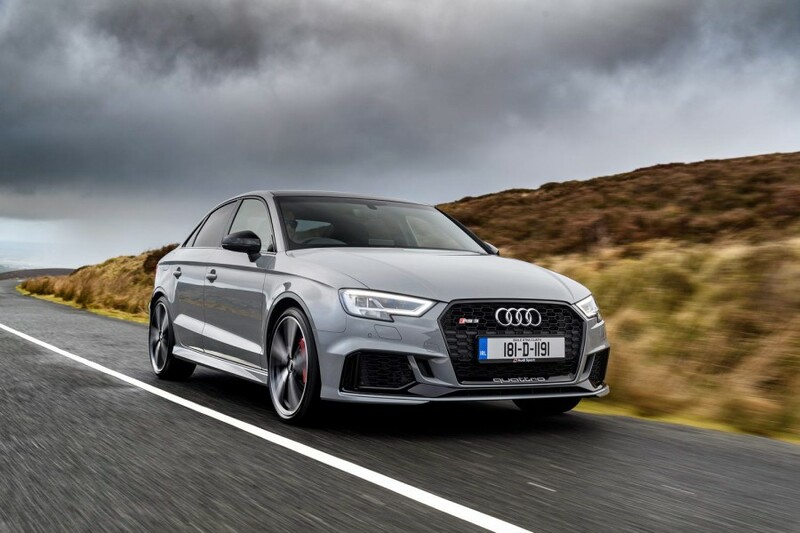 Audi RS 3 Saloon vs. BMW M2 Competition: brutally fast and secure, with an alluring five-cylinder soundtrack; in every other respect the M2 Competition has the Audi's dynamic measure. 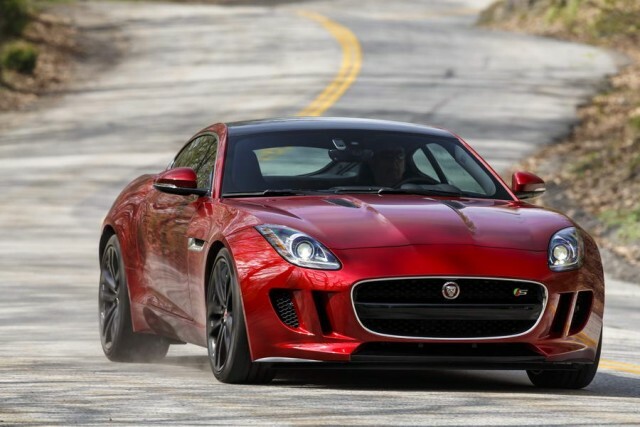 Jaguar F-Type vs. BMW M2 Competition: a mid-ranking V6 with the rare manual gearbox might be a beautiful and unusual alternative, but it's a shrunken GT whereas the M2 Competition is a bona fide sports car. 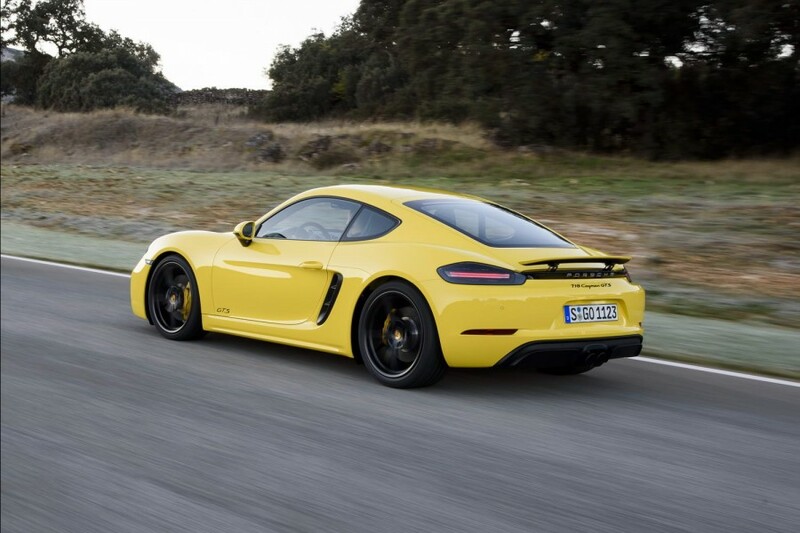 Porsche 718 Cayman GTS vs. BMW M2 Competition: as exceptional a piece of engineering as the 718 Cayman is in terms of its chassis hardware, that 2.5-litre boxer four engine has undoubtedly robbed the Porsche of its magic.